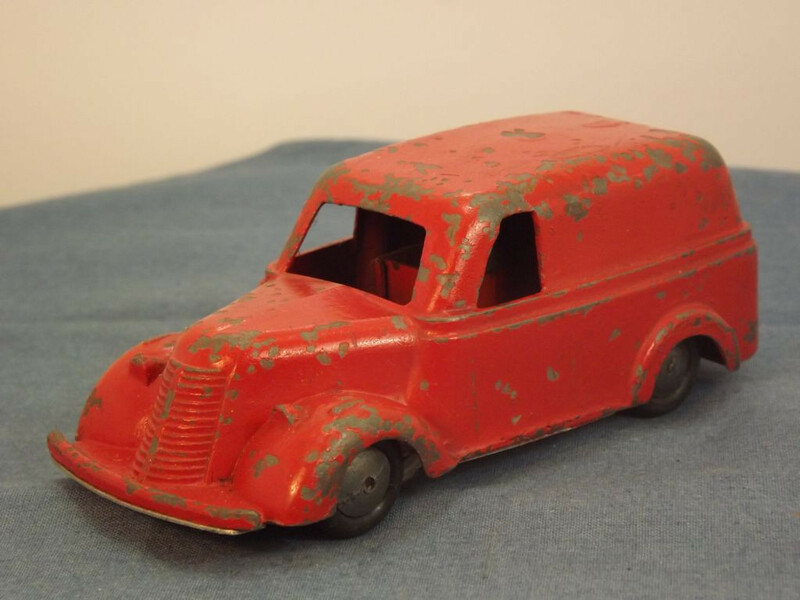 This model is the Timpo Delivery Van in red. 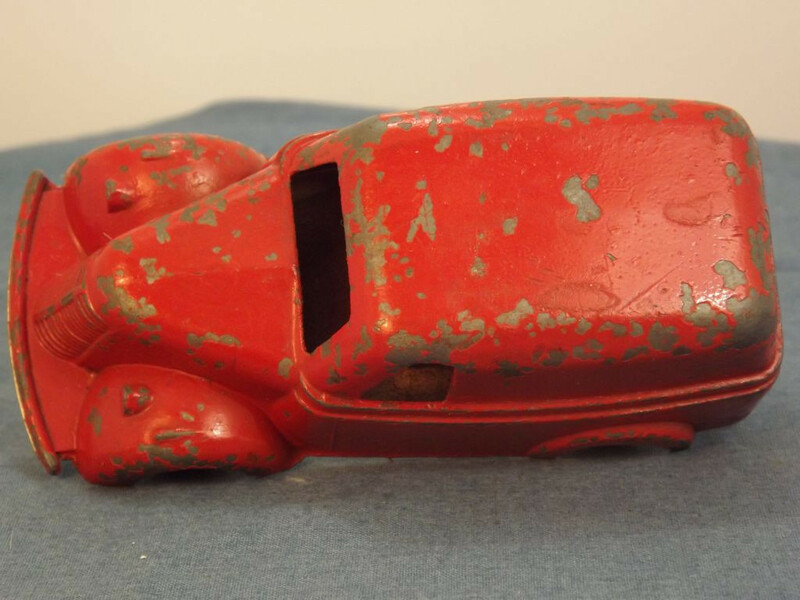 It has a fixed bonnet and doors. The lorry comes with cast radiator grille, bonnet lines, body lines, door outlines and front bumper. 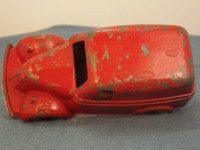 The model was produced in the 50s or 60s and so has no interior or glazing. All wheels are of a smooth hub type - unpainted, one piece metal with black "rubber" tyres. The hubs have been pressure fitted to the axles. 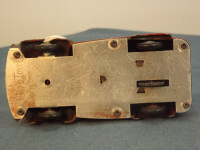 The rear axle passes through a friction drive motor. 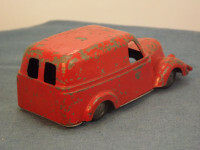 The base plate is unpainted tin and is stamped with "Timpo Toys, Made in England" just behind the front bumper and "Pat. Appd. 34205/47" just behind the front axle. It is held in place with 6 machined rivets. 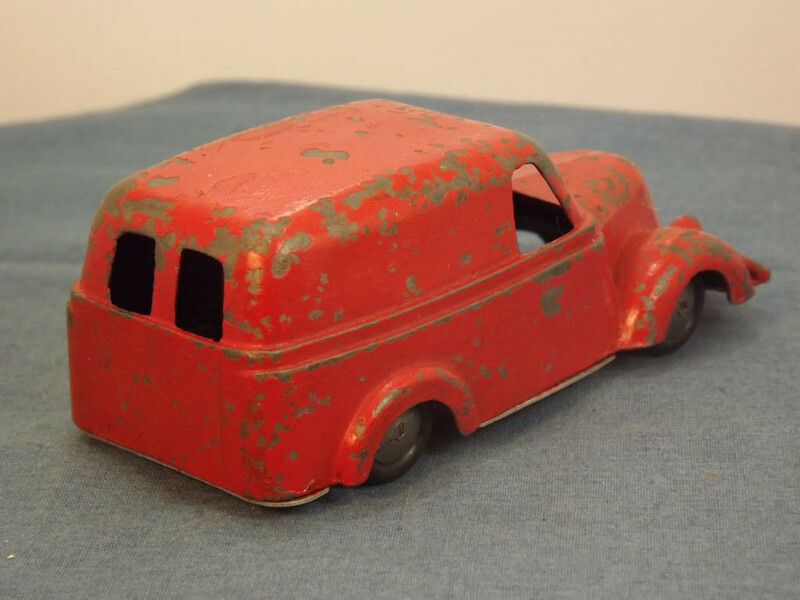 This model was issued in the 1940s or 1950s (derived from the Patent approval number). This text is here on the Timpo Toys Delivery Van page to make up the necessary number of words so that the page will save.